PROVIDENCE, R.I. [Brown University] — Research suggests that fetal exposure to chemicals or drugs can cause neurological problems. Babies whose mothers take the epilepsy drug valporic acid (VPA) during pregnancy, for example, appear to have an elevated risk of developing an autism spectrum disorder. In a new study, scientists who developed a tadpole model of this exposure directly observed deleterious effects on brain physiology and behavior. Understanding that connection could provide scientists with the opportunity to discover how to stop it. Specifically, the study revealed parallels to autism in humans at the levels of brain cells, networks, and behavior, said study senior author Carlos Aizenman, associate professor of neuroscience at Brown. “We know that [VPA exposure causes an] alteration in neural circuitry and this alteration is responsible for the behavioral effects,” Aizenman said. To conduct the study, Aizenman’s group reared tadpoles in the lab, exposing some to VPA during the key window of time for development of the optic tectum, a critical part of the brain for sensory processing. They left other tadpoles unexposed, as experimental controls. Then they compared the neural anatomy and behavior of each group. James saw several key anatomical differences in the optic tectum. 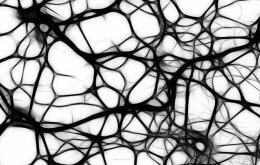 To connect with other neurons into circuits, neurons grow long branch-like structures called axons and dendrites. The dendrites of VPA-exposed tadpoles grew and branched abnormally according to his measurements, perhaps reflecting differences in how the tectum circuits were becoming wired during the VPA-exposed development. He also measured differences in the activity levels and excitability of the circuits and the individual cells that make them up. Neurons in the brains of VPA tadpoles showed increases in the frequency of both excitatory and inhibitory neural activity compared to those of the controls. Networks of cells appeared to be more active as well. The results all appeared consistent with an overgrowth of neural connections without the usual pruning back, or refinement, of connections that characterizes normal maturation in the brain. In humans, autism is one of those disorders, Aizenman said. “The hyperconnectivity is an effect that could explain a lot of the behavior,” he said. To assess behaviors, co-corresponding author Arseny Khakhalin, a former postdoctoral associate in the Aizenman lab who is now at Bard College, devised a series of tests. He and the team assessed whether VPA-exposed and normal tadpoles showed differences in how they schooled (like fish), avoided apparent collisions, tolerated startling noises, and became susceptible to seizures. “These are not autistic behaviors in a tadpole, but they are the consequences of the same fundamental circuit malfunction that leads to autism in humans,” Aizemnan said. In all four behavioral measures, the VPA tadpole models showed significant differences. They were less likely to school and swim along with other tadpoles (a tadpole proxy for socialization, which is impaired in autism); they weren’t as good at avoiding contact with animated images projected on to the bottom of their petri dishes; they didn’t habituate to startling noises (another analog to autism in people); and induced seizures were more frequent and shorter than in normal tadpoles. Epilepsy is also known to co-occur in many people with autism. Since performing these studies, James has continued to study the underlying biology of VPA’s effects on neural development. He’s seen that VPA exposure significantly affects gene expression in developing tadpoles (the drug is known to affect how DNA is opened up to expression). His hope is to identify and possibly block the altered expression that may be causing the improper neural development. In addition, the tadpole model provides scientists with a way to gain important insight into the development of neurodevelopmental disorders more broadly, Aizenman said. In prior work, for instance, his lab looked at the neural and behavioral effects of a cosmetics chemical. Over time, studies such as these may reveal patterns in the mechanisms by which exposures during development alter the nervous system. In addition to James, Aizenman, and Khakhalin, the paper’s other authors are Jenny Gu, Carolina Ramirez-Vizcarrondo, Mashfiq Hasan, Torrey Truszkowski, Yuqi Tan, and Phouangmaly Oupravanh. The National Eye Institute, the National Science Foundation and Brown University funded the study.